It seems like decades ago now that the Marvel Cinematic Universe began. They’ve accomplished so much that it’s difficult to believe that the first Iron Man movie was only released in 2008. Back then, Jon Favreau was the man tasked with getting everything off on the right foot as the director of Iron Man. He still acts as a producer of the series which, of course, means he gets to see the finished product of movies like Captain America: Civil War before the rest of us. 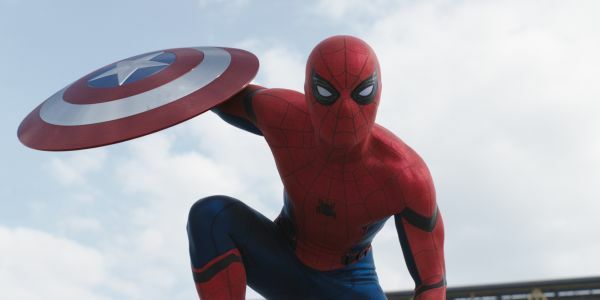 While he loved to see the evolution of Tony Stark on the screen, the director says he especially loved the introduction of Spider-Man, and how the character apparently impacts Tony as a character. Jon Favreau has his own major Disney-owned film in theaters right now with The Jungle Book but he’s still very much involved in the MCU that he helped start. Favreau tells IGN that Spider-Man, the newest member of the Marvel big screen family, just made him smile but especially in regards to the character’s chemistry with Iron Man. I think Spider-Man made me smile every second the character was on the screen. I was so pleased with the tone of the film in general, but those sequences specifically, and I just loved the way they introduced the character. I love the version of Tony Stark I saw, especially in those scenes. As somebody who was part of the beginning of the screen persona of Tony Stark, I thought that this was really impressive and a wonderful expansion of that character. Of course, as most of us still haven’t seen Captain America: Civil War, as it’s more than two weeks away from release, Jon Favreau is being politely vague to avoid spoilers. However, this means he’s not really clear about exactly what it is he sees in either Spider-Man or Tony Stark that he especially appreciates. All of our indications have been that Tony Stark will play a mentor to the young Peter Parker. If so, this would certainly qualify as an "expansion" of the Tony Stark character, as it’s a side that we have not seen from him before. Jon Favreau certainly sounds like a proud father, who has seen his child go off on their own and build a successful life. In a way, that’s exactly what he is. It was Favreau’s direction and Robert Downey Jr.’s performance that were the basis on which the entire MCU currently sits. If Iron Man had not been successful the entire endeavor may have ended before it begun. We’re looking forward ourselves to seeing the introduction of Spider-Man and the evolution of Tony Stark. It sounds like Jon Favreau is still firmly on Team Iron Man. How about you?